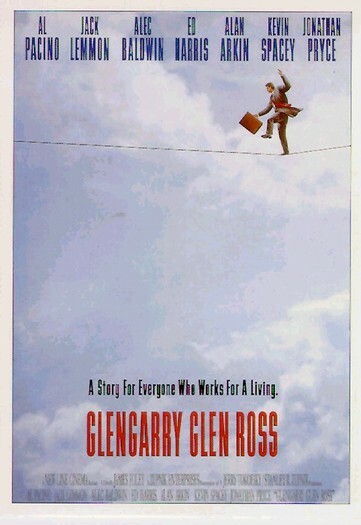 Times are tough in a Chicago office, the salesmen (Shelley Levene, Ricky Roma, Dave Moss, and George Aaronow) are given a strong incentive by Blake to succeed in a sales contest. The prizes? First prize is a Cadillac Eldorado, second prize is a set of steak knives, third prize is the sack! There is no room for losers in this dramatically masculine world, only "closers" will get the good sales leads. There is a lot of pressure to succeed, so a robbery is committed which has unforseen consequences for all the characters. 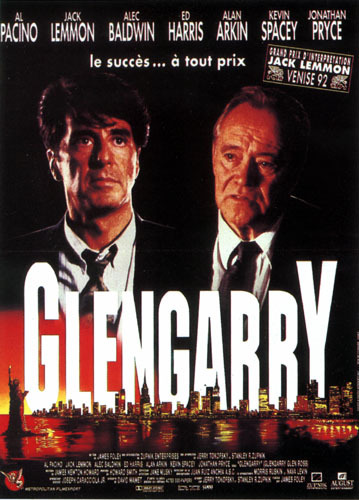 Glengary Glen Ross A great ensemble! The story's a bit dry, but theperformances keep you interested. 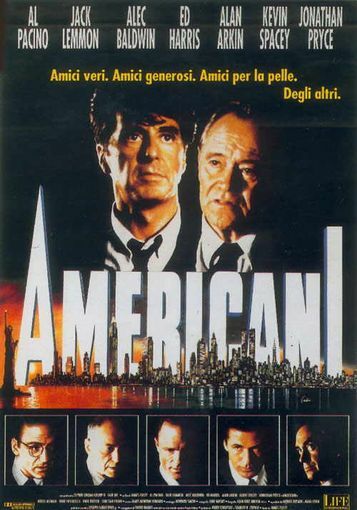 Baldwin astounds ina role written for him in this screen adaptation of the multi award winning play from David Mamet. Arkin gives his best screen performance since "The Heart is a Lonely Hunter." Pacino got the Oscar nomination, but it's the entire cast who deserves nods for some of their best work on film.